You have reached the Savy Paws Pet Resort Reservations page. Please call or email your reservation to schedule your dogs’ boarding. Any reservation over the Cherokee County school breaks is a three night minimum and will require a 50% deposit. See the Cancellation Policy for more information. 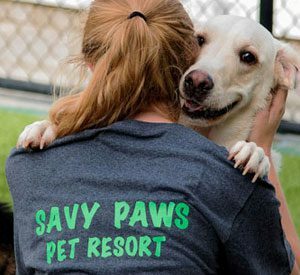 Savy Paws Pet Resort will need a vaccination copy before your dog enters the resort. You can either bring them with you, email, fax or we would be happy to call your veterinarian and have them sent directly to us.